This entry was posted in Austria Austria Immigration and tagged Austria Austria Immigration Austria migration on April 13, 2015 by Blog Author. The country, Austria is inviting nation especially for overseas nationals. There are a lot of opportunities available for overseas workers who would like to come and reside in this country. 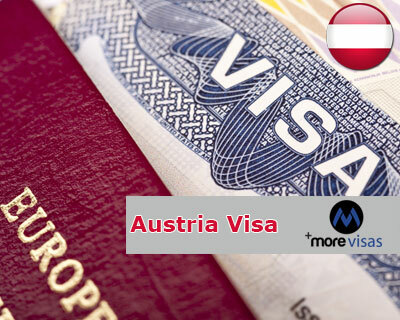 Here, we have listing out the various visa options available for immigration to Austria, along with its requirements. The EU or EEA nationals, along with citizens of Switzerland are permitted to live and work freely in this country without the need to hold a residence or work permit. However, they should either have a valid passport or other documents for personal identity. Only if their stay exceeds three months, they require a residence permit. Family members of such nationals who do not belong to EU/EEA/Swiss countries can also apply for a residence visa after submission of their passport. They should also produce evidence of their relationship to the primary residence visa holder and that their cost of living in Austria must be borne by the primary residence visa holder. Such individuals are required to obtain a visa to live or work in Austria. There are certain countries that exempt this rule such as USA and Canada. The nationals of both these countries can stay up to 90 days per year without a visa. Those non-EU/EEA nationals, who are planning to open a company in Austria to employ the locals and reside there without taking up employment there, can easily get a residence permit. It is relatively much difficult for non-EU/EEA nationals to get work permit for Austria. In order to get the same, the company that is offering you a job has to confirm to the immigration authorities that you have the relevant skills, qualifications and expertise that has scarcity in the country. Apart from this, you may also be required to pass a test of proficiency in the German language. The applicants must receive the Austrian visa for entry or work permit from the Austrian Embassy or consulate in their native country before arrival in Austria. Get more details with the assistance of our MoreVisas executive by filling our Enquiry Form.